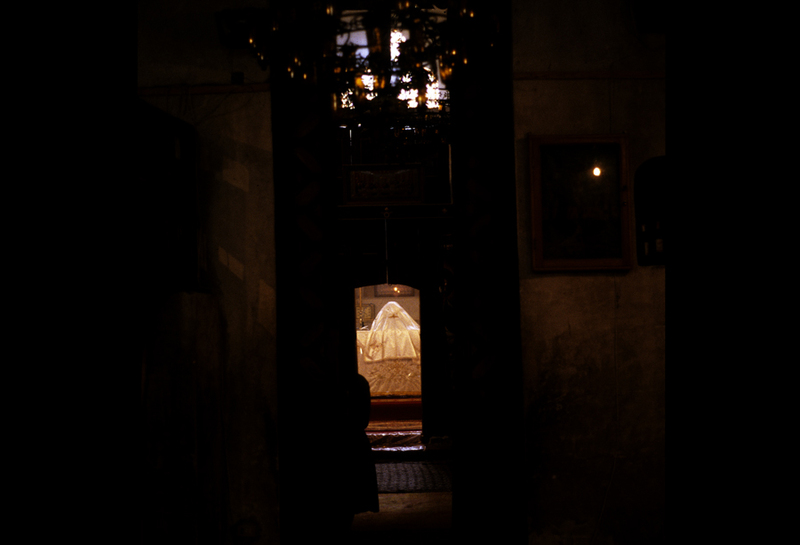 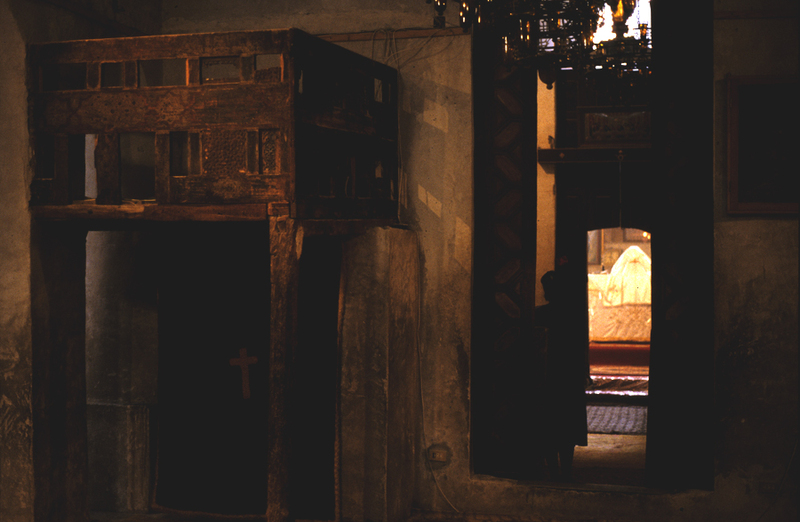 Five large Coptic Orthodox monasteries are active in the Wadi Natron, northwest of Cairo. 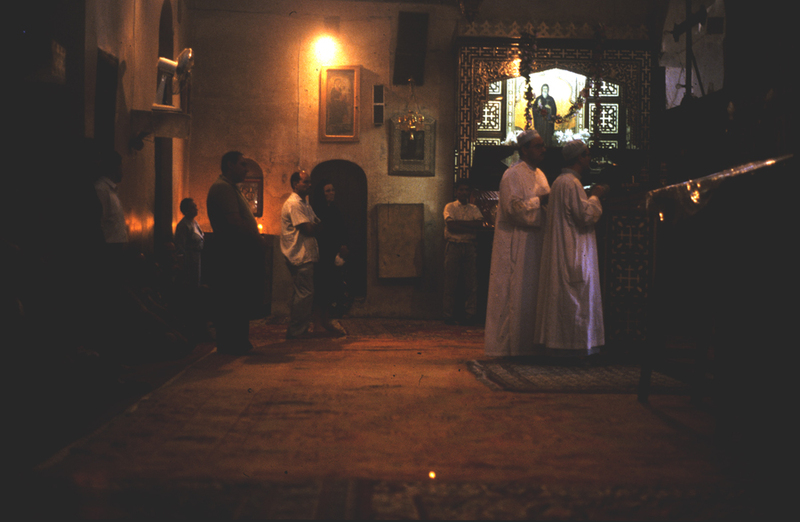 Professors Michael Fuller and Neathery Fuller visited the monasteries of Deir Bishoy and Deir el-Suriyana during 1992. 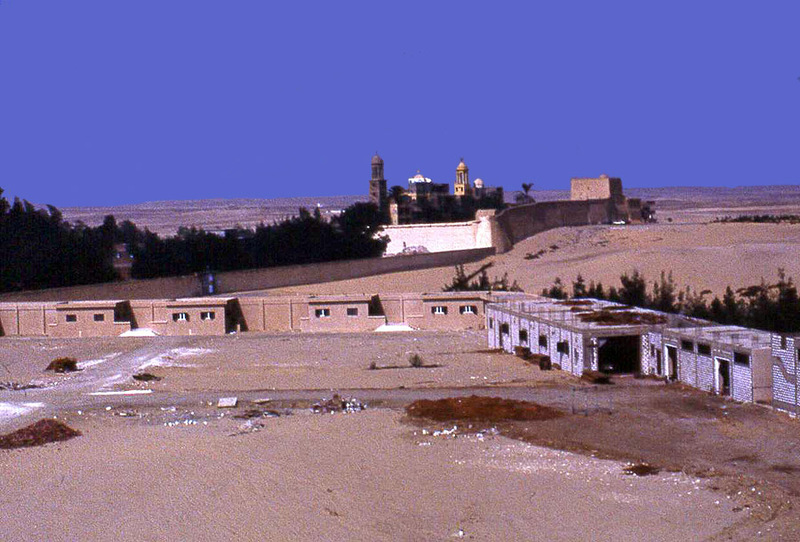 View from the roof of Deir Bishoy looking at Deir el-Suryani Monastery. 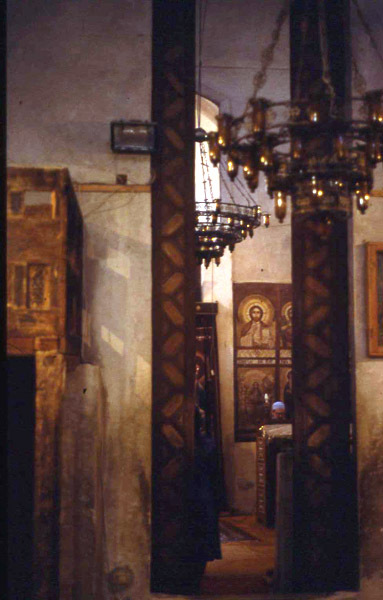 Interior of the church in Deir Bishoy. 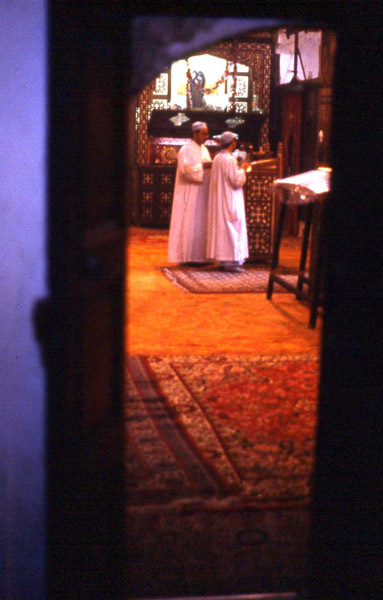 Monks chanting in Beir Bishoy. 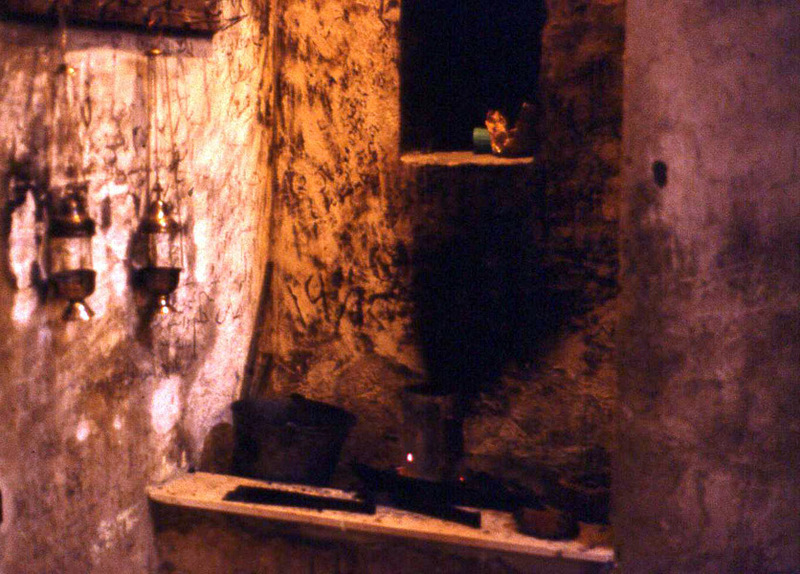 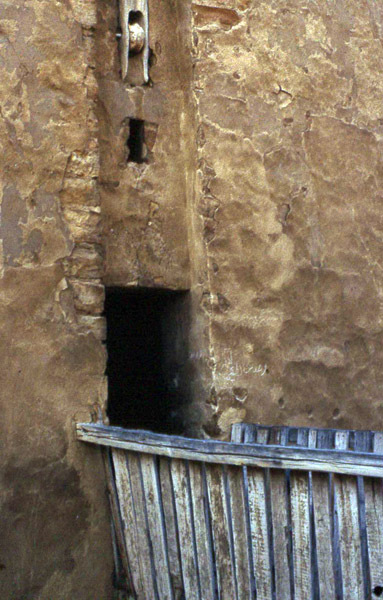 Two incense burners and charcoal stored in niche above a workbench. 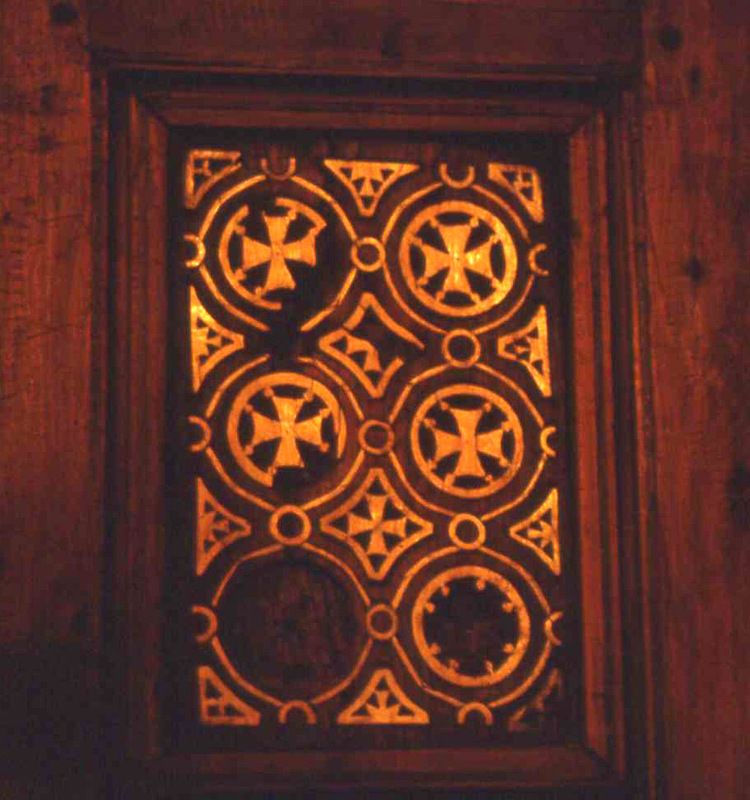 Pulley for drawbridge protecting inner keep. 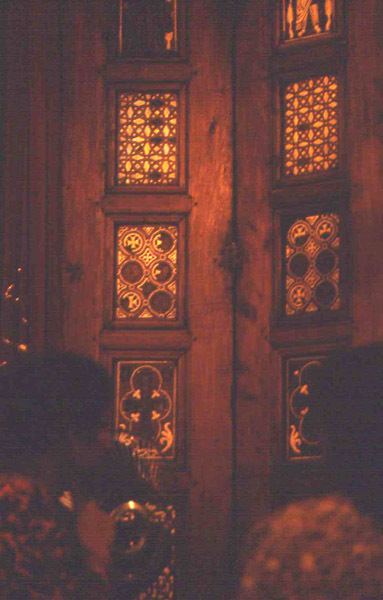 Wood panels with white inlays at Deir el-Suryani. 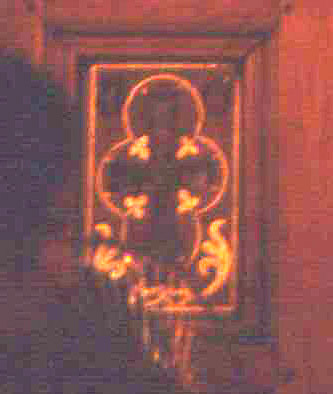 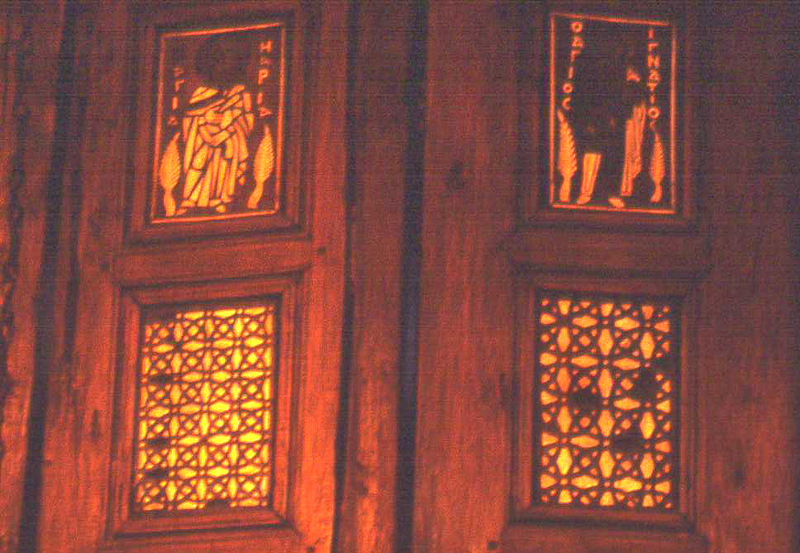 Figural panels of saints in the inlay patterns. 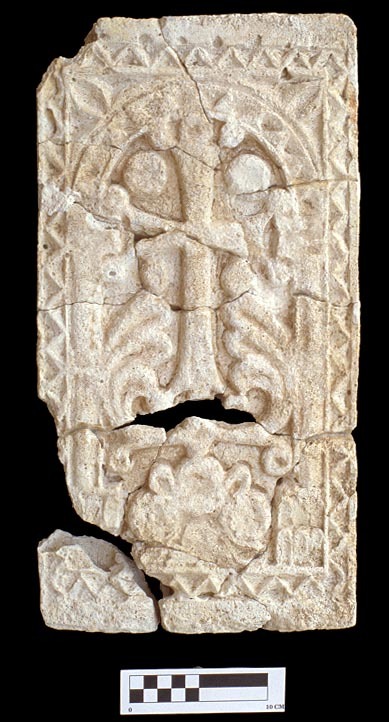 Wood and inlay panel like one of the stucco panel found Area 9 at Tell Tuneinir that was discovered during archaeological excavation by St. Louis Community College.